Many years in the future, it’s likely that England will have King George VII. If the ascension to the throne follows true to form and tradition Prince Charles will follow Queen Elizabeth II. She was born in 1926 and her mother lived to be one hundred and one years old so it’s unlikely to be imminent. Following that, Prince William will take over and then, many years into the future, his son Prince George. This is the way it goes – the first born child of the monarch steps into his or her parent’s shoes – or crown, rather. But this wasn’t necessarily the case in the 1930s. The ruling monarch had four surviving sons and none were really deemed suitable by the government and those in power. There was a time when the prince pictured above was likely to be king – even though he was the youngest son. How could that be? As the eldest son, Edward would automatically be king- unless the powers-that-be didn’t do something to prevent it. And many people in the government wanted to prevent it. He was thought be be a Nazi sympathiser – with several factors to suggest this really was the case and he also had a most unsuitable mistress that he was determined to marry. The last thing the government wanted was a weak king who sympathised with a country that insiders strongly suspected would soon become the enemy of Britain. With war approaching, the government knew that the country would need a strong king who could keep up morale. They knew Edward was unsuitable but what about Albert? Albert was happily married and enjoyed his country life but he had one serious problem that worried the government. In the days of radio, strong, uplifting speeches were required and Albert was hopeless. He had a severe speech impediment. Equally difficult, although he had been married for several years his two children were girls. If Albert were to become king, the heir to the throne would be female. Unthinkable! He was a bluff soldier and a country gentleman. There wasn’t a stain on his character (unlike his elder brother Edward) and he had no speech impediment (like his older brother Albert) but would he make a good king? Like Albert, he was shy and retiring. And what about his heirs? When this conundrum was going on, he too had been married for a couple of years. But it was even worse than the situation with Albert. Albert had daughters – Henry had no children at all at that time. What if he and his wife were incapable of producing heirs? That would complicate the issue so much more. George was a different matter. He was charming, good looking and eloquent. He had married well, to a European princess, and already had a daughter and a son – he had proved that he could produce heirs. He was an ‘action man’ and widely liked and admired. True, there were rumours about a mistress or two but the old chaps who made up the government had no objections to a young prince sowing his wild oats – it was ‘the done thing’. And it was nothing like as bad as his elder brother Edward, who was determined to marry a twice-divorced American. Edward, as we know, became the king when his father died. But famously, he gave up the throne for Mrs Simpson. 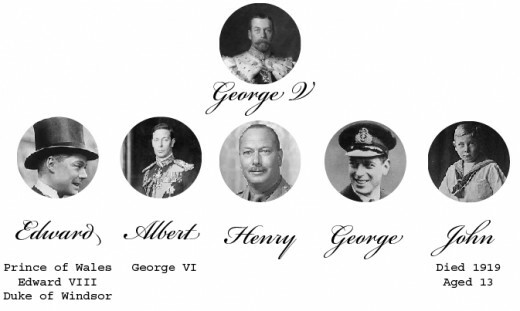 In the natural order of things his younger brother Albert became king. It was widely thought that he wouldn’t be able to cope. When he discovered that Edward was about to abdicate he is reported to have sobbed on his mother’s shoulder – the thought of being king terrified him. Those in the know feared that he too would abdicate; that it would all prove to be too much for him. As it happened, he became a much-loved monarch. Prince Henry led a respectable, honourable but unremarkable life and died at the age of seventy four. Prince George fathered another son by his wife Marina. In 1940, just after the outbreak of war, he returned to military service. 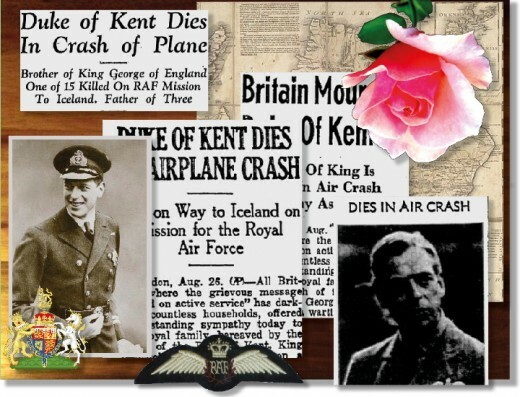 Six weeks after the birth of his second son in 1942 his plane, en route to Iceland, crashed into a Scottish hillside. 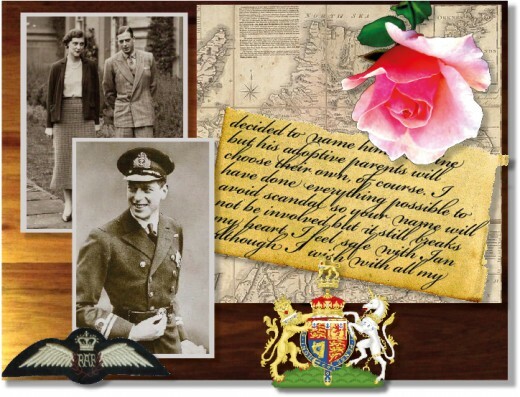 Read more about Prince George and his mysterious death.